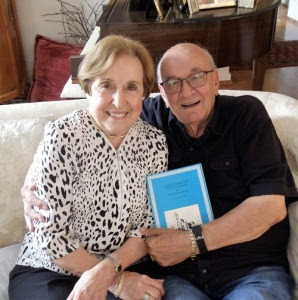 History of Greece's Jewish Community Before the Holocaust Presented in D.C. The event, titled “The Jewish Community of Greece Before the Holocaust: A Multimedia Presentation“, was a collaborative effort by the Hellenic American Women’s Council (HAWC) with support from Sephardic Heritage International D.C. 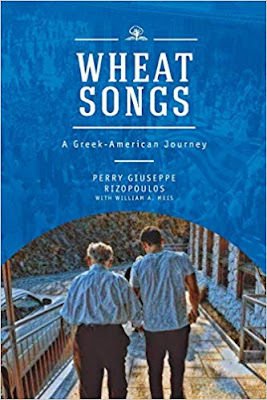 Wheat Songs is a memoir of two interconnected Greek-American journeys―an actual physical journey for the grandfather, Pericles Rizopoulos, and a philosophical quest by the author, Perry Giuseppe Rizopoulos. When the grandfather, Pericles Rizopoulos, a proud old man, tells his fascinating, tragic and true stories of the Nazi occupation of Greece during World War II and the following Greek Civil War, to his twenty-something grandson, Perry Giuseppe Rizopoulos, Perry’s philosophical reflections on his grandfather’s stories along with his own memories of growing up in his extended Greek/Italian/American family in the Bronx combine to create an enduring story about the strength created by a tightly-knit family and the powerful values passed down from generation to generation. During the massive wave of immigration the United States between 1881 and 1924, an estimated 15 million immigrants entered the country. 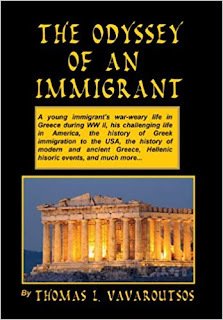 By all estimates, both Greek-Christian and Greek-Jewish immigrants were a small minority. 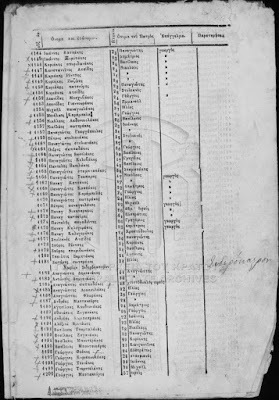 What is of interest is the fact, that according to the major source of official data (ship manifests) of those emigrants from Epirus, the greater majority appear to be Jews. While the impetus to leave might have been the same, the dynamics of the emigration and the intentions varied. While all emigrants shared the desire to find resources to improve their lives back in the old country, most Greek-Orthodox Christians thought of the move as temporary, the majority hoping to shortly return to live out their improved existence in Greece. For most Greek-Jews the move was permanent. "The evolution of the Greek Diaspora constitutes an integral part of Modern Greek history. One cannot appreciate the development of the Modern Greek State without understanding the consequences and impact of migration. There are very few corners of the globe where Greek migrants have not set foot. The developed regions of North America, Europe and Australia have attracted the majority of Greek migrants in recent times. Relatively few have sought their fortunes in less developed parts of the world, the so-called ‘Third World’. Even fewer to Sub-Saharan Africa or Black Africa as it is known in the popular imagination. The migration of Greeks, although only a trickle, to Sub-Saharan Africa has its origins in the late 19th century, overlapping with the ‘Scramble for Africa’ by the various colonial empires of the era. GREEKS IN WASHINGTON - read the following excerpt from article "Firm, Fair and Friendly"
"From the early nineteenth century through to the 1960s, the Greeks formed the largest, most economically powerful, and geographically and socially diverse of all European communities in Egypt. 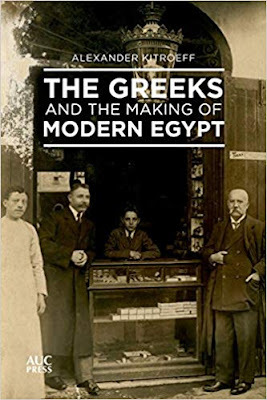 Although they benefited from the privileges extended to foreigners and the control exercised by Britain, they claimed nonetheless to enjoy a special relationship with Egypt and the Egyptians, and saw themselves as contributors to the country’s modernization.